Philadelphia, Pennsylvania / USA. 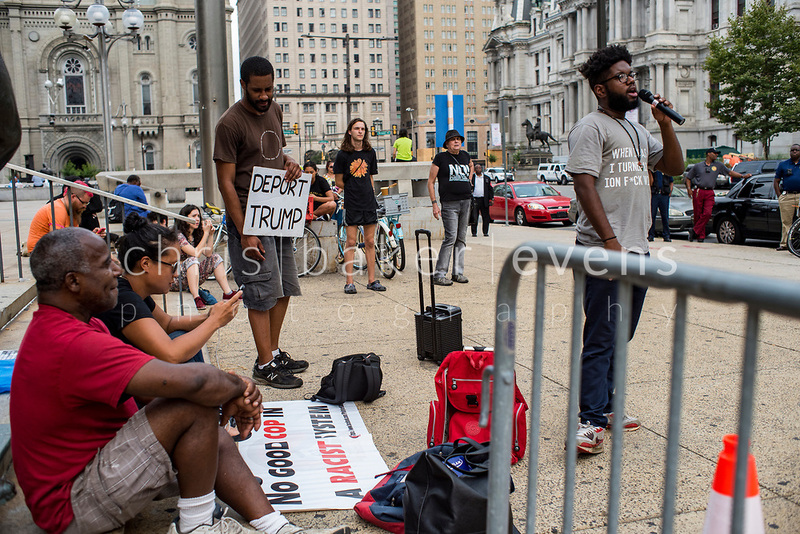 Philly for REAL Justice members hold a weekly protest in front of the statue of former Philadelphia police chief, Frank Rizzo. The organization highlighted the former police chief's record of brutality towards the Black community and is calling for the statue to be removed. August 07 2018.